Divorce is a defining moment in a person's life and has ramifications for years to come. Your choice of divorce attorney will have a profound impact on how you emerge from your divorce proceedings. Will you be secure? Will you feel empowered to take control of your life and move forward in a positive direction? Contact us now and we'll call you to make an appointment to speak to our family law attorney over the telephone for free or call us yourself 727-461-4441. For more than 35 years, John D. Fernandez, P.A. 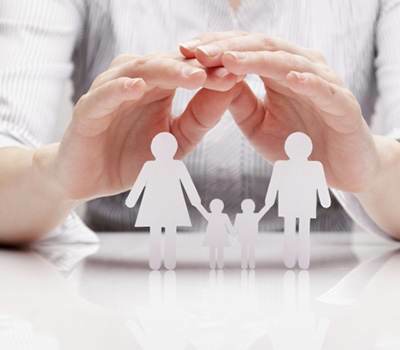 has assisted clients in Florida family law divorce proceedings, ensuring that their rights were protected, their wishes honored and their goals met. Florida is an "equitable distribution" state, which means marital property is divided in a manner that the family law court deems "fair." This involves a three-step process of identifying the marital property, appraising its value and dividing it between the two parties. In family law cases John D. Fernandez, P.A. utilizes the services of skilled forensic accountants to find and value assets and create a distribution plan that upholds your rights to a truly equitable share. Unfortunately, in family law spousal conflict does not always end with a divorce decree. The judgment of the family law court is often violated, either deliberately or because of an inability to comply. John D. Fernandez, P.A. represents parties seeking to enforce terms such as spousal support or petition for modifications due to changed circumstances. The family law trial attorneys at John D. Fernandez, P.A. are often called upon to defend against charges of domestic violence and juvenile delinquency. To learn more about our skill in such family law cases, see our criminal defense page as these two areas often overlap. To schedule an appointment with a family law attorney from John D. Fernandez, P.A., call us at 727.461.4441 or click here to contact us now and we will call you right back. John D. Fernandez, P.A. provides highly professional and ethical representation to clients in the greater Tampa Bay area of Florida. We are trial attorneys, confident in our courtroom ability, but able to negotiate firmly and in good faith with opposing counsel. Our firm has more than forty years of combined legal experience, much of which has been dedicated to litigation in court. We purposefully limit the number of cases we accept so that we may give our clients the personal attention each case requires. Diligent, ethical representation for auto accidents and wrongful death. If you have been injured, you increase your chances for recovery by hiring a qualified trial law lawyer. Insurance companies and defense lawyers know which trial lawyers are capable of trying a case to verdict. John D. Fernandez, P.A. has built a preeminent reputation over 40 years of practice. While all accident victims rely on compensation for medical bills and lost earnings, some will never fully recover and must depend on a damage award for lifelong care. John D. Fernandez, P.A. is dedicated to presenting the most compelling case possible for each of our injured clients, so that you receive the optimal award for your pain and suffering, and future expenses. John D. Fernandez, P.A. investigates all cases, both fact investigation and medical conditions to make an initial assessment and then consult knowledgeable experts in the field who can assist in advancing your case for full and fair compensation. Finally, should settlement not be achieved, you can rely on our courtroom skill for a clear, concise and compelling argument that presents your case in the most favorable light. The worst injuries require the best representation. When an accident victim has suffered traumatic brain injury, the person at fault must pay for expensive medical and rehab services, plus cover the loss of income for the duration of the victim's life. Wrongful death judgments include amounts for loss of companionship of a spouse, loss of the parental relationship for offspring and loss of income projected over the estimated lifespan of the deceased. These judgments are costly, and thus they are vigorously defended by insurance companies and their legions of lawyers. Selecting an attorney with the resources, talent and resolve to face a strong and determined opponent is a must. To secure ethical and diligent representation for your personal injury claim, call John D. Fernandez, P.A. at 727.461.4441 or contact our office online. We take all injury cases on a contingency fee basis, so there is no charge to you until we recover a monetary award. Boating accidents especially those involving personal injury to the occupants, require immediate investigation to preserve evidence. Contact us now and we will meet and begin the boating accident investigation immediately or simply call our office 727-461-4441. Responsibility for boating accidents is often subject to maritime law and more often than not there is little or no physical evidence left at the boating accident scene, except witness accounts. 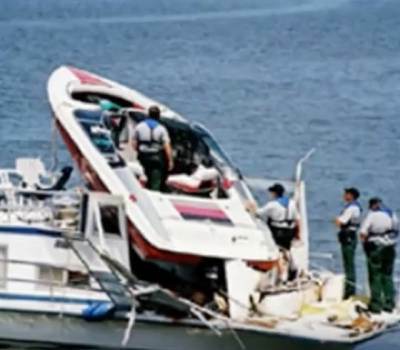 Often times law enforcement withhold witness statements and evidence in the boating accidents, claiming their investigation is still open, while they determine who is responsible or at fault for the boating accident. It is best to start your own boating accident investigation before the trail grows cold. Boating accident claims required special expertise and knowledge on the part of your attorney to be handled properly in the client's best interest. Our Clearwater boating accident attorneys are not only familiar with maritime law and boating accident investigations as it pertains to liability, but our attorneys are both experienced boaters themselves as it helps to have the requisite knowledge when defending criminal charges or claiming for injuries in boating accident cases. It is vitally important that you contact us immediately to speak with an attorney before you make a statement to the investigating law enforcement agency or any insurance company, including your own. If there is a potential for the boating accident to be your fault, law enforcement is investigating the potential for criminal charges pertaining to the boating accident. Law enforcement can subpoena your statements made to the insurance company and use it as the basis for criminal charges in the boating accident. If you have sustained injuries as a result of a boating accident or are potentially facing criminal charges for causing a boating accident Contact us now, the consultation is free and that call might be the most important one you make following the accident. Fall down claims are often met with skepticism. 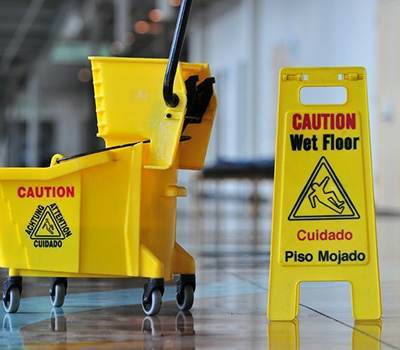 None more so than a common "slip and fall," where a plaintiff asserts that a wet floor, loose tile or pothole caused serious bodily harm due to the fall down. If you have a fall down or premises liability claim, be aware that your attorney's reputation will precede you. Retaining a qualified lawyer who is known for his competence and advocacy increases your chance of resolving your fall down claim, before the necessity of a trial. No insurance company or defense attorney wants to negotiate the settlement of a fall down case when he has doubts about the lawyer's ability. John D. Fernandez, P.A. enjoys a preeminent reputation for legal professionalism and ethics. Contact us now and we will call you to meet the lawyer and have a free consultation on your fall down case or simply call us 727-461-4441. A management company or landlord, public or private, has the duty to maintain a property that is safe for any member of the invited public. When a management company or landlord allows unsafe conditions to exist and those unsafe conditions lead to a fall down resulting in injury, the landlord is held accountable. 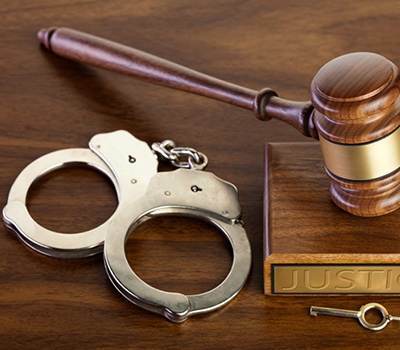 When a landlord fails to take standard safety or security measures and the absence of those measures allows a crime to be committed, the landlord may be civilly liable for the harm done by the criminal. If your landlord does not have adequate lighting, and you are attacked in a dark passage; does not replace a broken front door lock and your home is invaded; or refuses to evict an out-of-control tenant and you are injured by that tenant's reckless behavior, you may have a case to recover from the landlord. John D. Fernandez, P.A. will evaluate your case for free and advise you whether it's wise to pursue a claim. John D. Fernandez, P.A. accepts injury cases on a contingency fee basis, so there is no charge for our legal services until we recover a monetary award to compensate your injury. To schedule an appointment, call us at 727.461.4441 or Contact us now. Bicycle accidents are subject to the same rules as car accidents and also pedestrians who are struck by automobiles. Since bicycle riders and pedestrians are subject to the same No Fault law as those persons injured as occupants of automobiles, the same special attention must be taken in the early phases of the bicycle accident claim as it relates to payment of medical bills and where appropriate, lost wages. Personal Injury Protection (PIP) coverage, is required by law to drive legally and can afford coverage early on for medical bills and lost wages, but careful consideration should be made early in a case by case situation as to where the PIP insurance should most importantly apply. Click here to contact us immediately or call our office at 727-461-4441 so we can begin the investigation into you bicycle accident and together make that determination on which aspect you should afford your PIP coverage; should you or a house hold family member have PIP coverage for the bicycle accident in question. 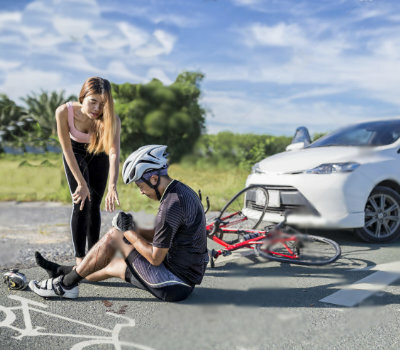 Bicycle accident reconstruction experts, for example, are necessary and must have the bicycle itself to recreate the accident, if liability or responsibility for the accident is an issue; meaning the insurance carrier claims the bicycle accident is the bicycle riders fault. If the insurance company retrieves the evidence in the bicycle accident first, critical evidence favorable to your claim maybe lost which hurts your recovery. Your attorney should take possession of the bicycle involved in the bicycle accident as well as make a bicycle accident report detailing the collection of all the physical evidence at the scene. Immediate investigation is critical. Talk with no one other than law enforcement at the scene. The discussions with that investigating officer are privileged; the others are not. 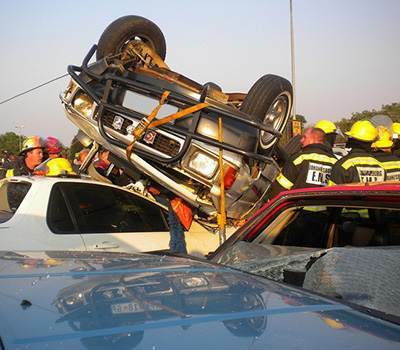 Do not discuss the accident with any insurance company until you have consulted with your lawyer. You may consult with us for free on this type of claim; it is imperative that you do so before the accident scene becomes contaminated by those who might not have your best interest in mind. Click here now and let us help you. 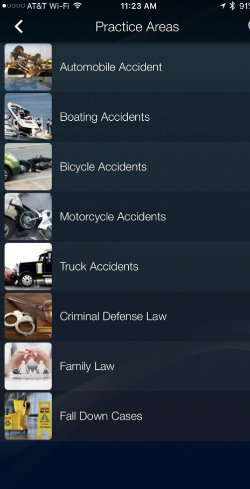 As in all other accidents involving injury or death, car accident, trucking accidents, fall down cases, motor cycle accidents require immediate investigation including a visit to the scene of a motorcycle accident. This investigation is more often than not critical to the ultimate outcome of the case. Click here now and we will get in touch with you immediately to start your motorcycle case investigation or simply call our office 727-461-4441. 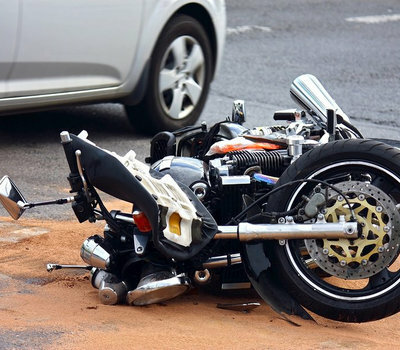 It is not uncommon in motorcycle accidents for insurance companies to deny liability (fault) as to the opposite driver, if they believe that you have not conducted a thorough investigation of the motorcycle accident early in the case. Immediate contact with our office will assure you that our investigative team will get to the scene of the motorcycle accident immediately to preserve all evidence for future use in the case. 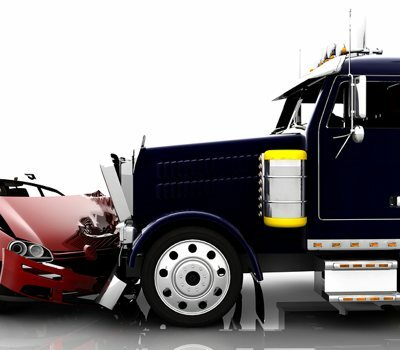 The at fault driver’s insurance company has no obligation to share their investigation with you and as a matter of fact, their investigation is confidential, what the law calls “work product”. They do not have to share it with you, even if you are laid up with injuries, which are most times significant in motorcycle accidents. Time can be your worst enemy in evidence preservation. Some billboard lawyers claim a special talent for “handling” motorcycle accident cases. Many have never tried a single motorcycle accident case; or a single case of any kind for that matter. Insurance companies know who these “handler-pretenders” are and adjust the value of motorcycle accident cases knowing the pretender's inability to effectively try the case and take the full value for the injuries sustained in the motorcycle accident from the insurance carrier. Investigation leading to proof of fault in motorcycle accidents demands an attorney’s immediate attention. Our firm has tried over 100 cases. The development of evidence of injury and economic damages including medical bills, past and future, lost wages and loss of capacity to earn usually occurs much later. Click here now to get started and let us help you.